The purpose of Gavrog is to develop an integrated Java library for nets (a.k.a. graphs) and other structures that can be described in terms of nets – the reticular aspect – and are situated (mostly) in ordinary space and show a high geometric symmetry – the ornament aspect. 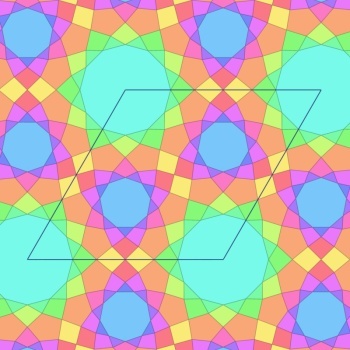 Examples of these are crystal nets, periodic ornaments and both 2- and 3-dimensional tilings.